Imagine there was a single bottle of pills (The Product) that would positively impact your health – Something that would repair and support your cell’s internal organs and systems – something that would influence your physical, mental and longevity of your life. The official testing of the product is complete, my wife and I have also tested it, and it has just been officially launched. Balancing, energising, promoting and supporting cell communication. Killing off the free radical “scavengers”. Helping cells absorb oxygen more intensely. Building the health of your telomeres which determine the length of your life. Improving cognitive function, concentration and memory. Restoring organ function through regeneration and adaptogenic ability. Improving mood and decrease irritability. Intensifying the metabolism of proteins, RNA and DNA. Enhancing the permeability of the cell membrane. Repairing, regenerating and restoring cells. The Endocannabinoid System does this through complex communication & regulation mechanisms, at cellular, tissue, individual organ level and in organ systems. 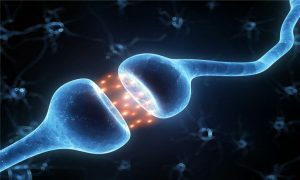 Endocannabinoids, together with their counterpart Endocannabinoid receptors, are the chemical keys that open doors in your body to get its processes moving and to close the door when it needs to stop. They help maintain optimal balance in the body, also known as homeostasis. In a time when stress and chronic health conditions are common, and where the combination of environmental and internal stressors are largely to blame, supporting a primary bodily system with these essential tasks can be very prudent when you want to provide your family with the best quality of life. Do you agree, we need to take better care of this newly found bodily system? We can enhance the well-being, experience and the results of everything we do. Cell to cell communication needs proper foods. Good health relies both, on your cells properly communicating with each other, and getting the correct food. When your cells communicate and eat well, your internal body systems function better. Ageing, stress, negative thought patterns and unhealthy eating can impair that ability. The Product, through only one of the ingredients – the glycans, provides strong support for cell-to-cell communication, which leads to better health and wellness. I discovered that diseases occur in the body when the body does not absorb nutrients, the cells are not communicating with each other and the correct food is not available to the Endocannabinoid System in the cells. ARUCA with Fulvic acid and Glycans is the element that makes nutrients absorbable and provides its ability to create a dramatic impact on all kinds of diseases and health problems that afflict the body. Without this product, nothing, including myself, would live without pain and disease. It has saved me from being deficient in the nutrients I need to regain healthy knees, ankles, feet, legs and get my blood sugars to acceptable levels. The product – ARUCA has over 30 “Micro-Nutrient-Inner-Cellular Food” extracts. My Most Powerful Life Restorer. ⟵ARE YOU AS HEALTHY AS YOU WANT TO BE?